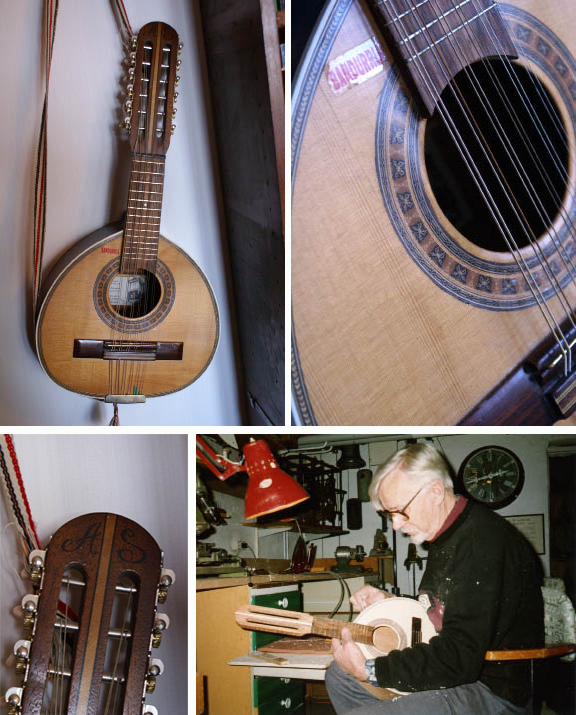 Albin Schaeder was not only watchmaker and author but also a luthier. 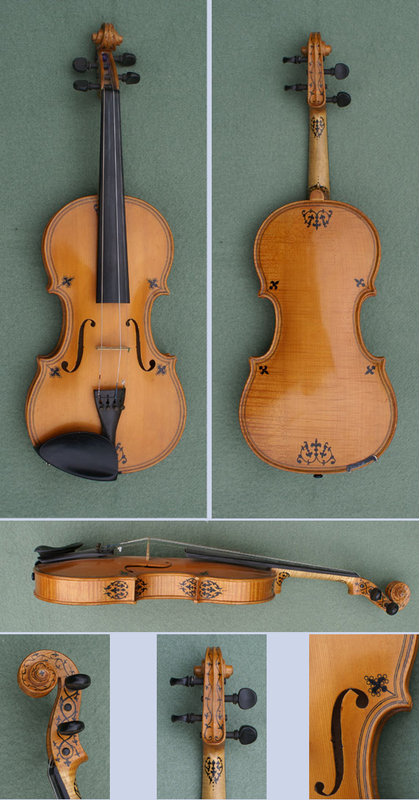 He became a member of Jämtland county violin builder association in 1991 and Stockholm violin builder club in 1992. 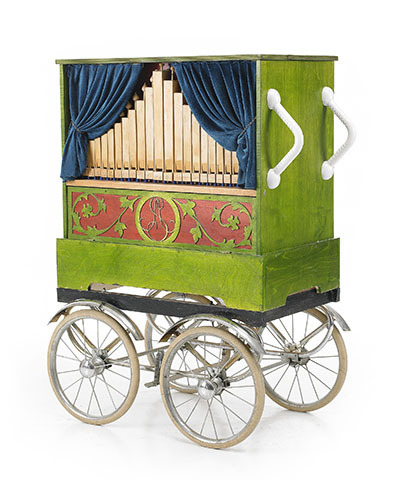 He made several violins and mandolins, a bandurria, a pochette and even a barrel organ! 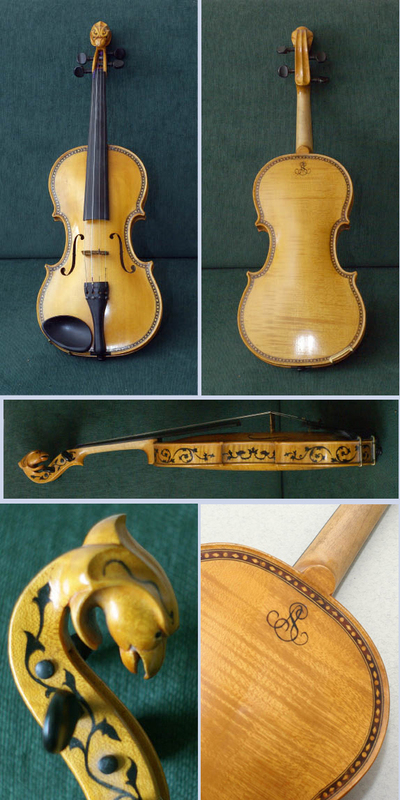 His own violin design, “The Dragon” was featured in an article in Västerbottens Kuriren July 16, 1990. 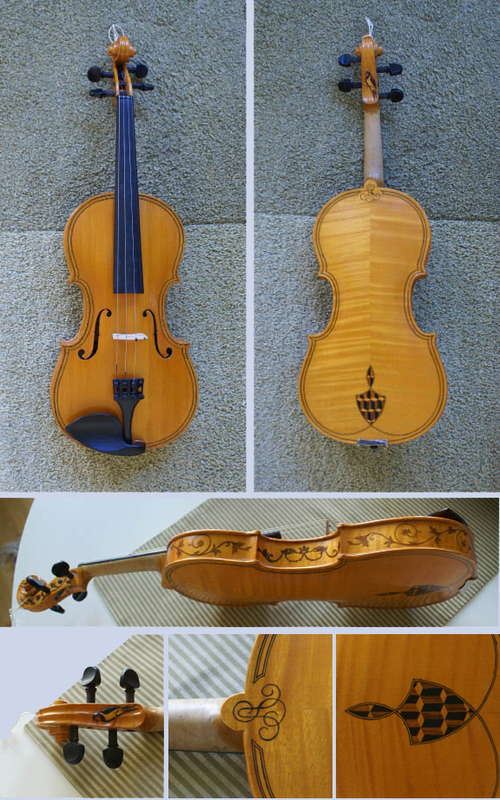 Violin number 2. After a model by Perry, Dublin 1829. Manufactured July 1988. The violin bow is also his own design, the hair is from the tail of his granddaughter Tina’s Arab horse, Cherokee. Violin number 3. Own design manufactured 1989. 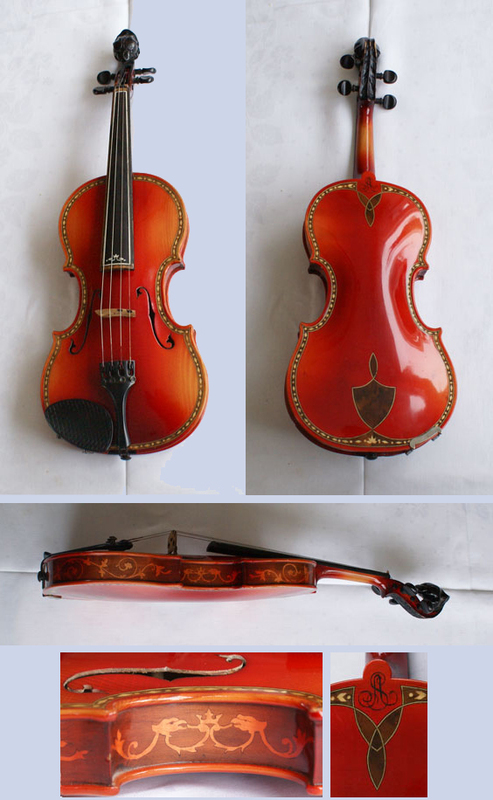 Violin number 4. Own design manufactured 1989. The lid is made from 100-year-old fir floor. Violin number 6. Own design manufactured 1990. 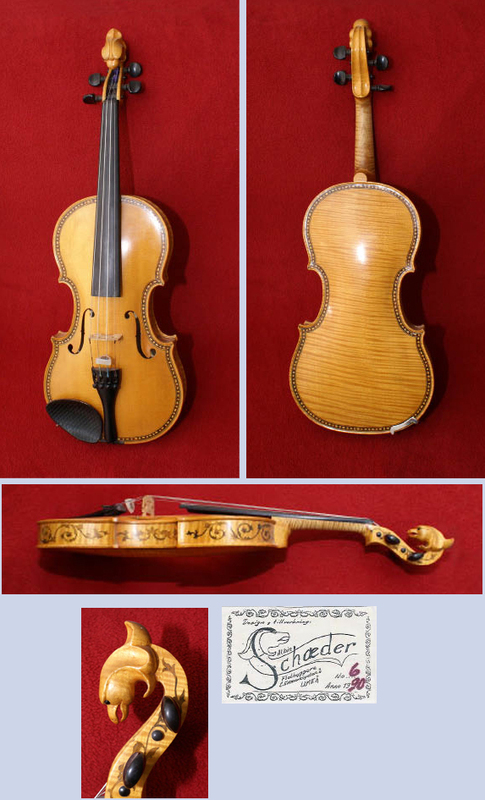 At an exhibition, June 30, 1990, this violin was awarded the second prize for its excellent sound. 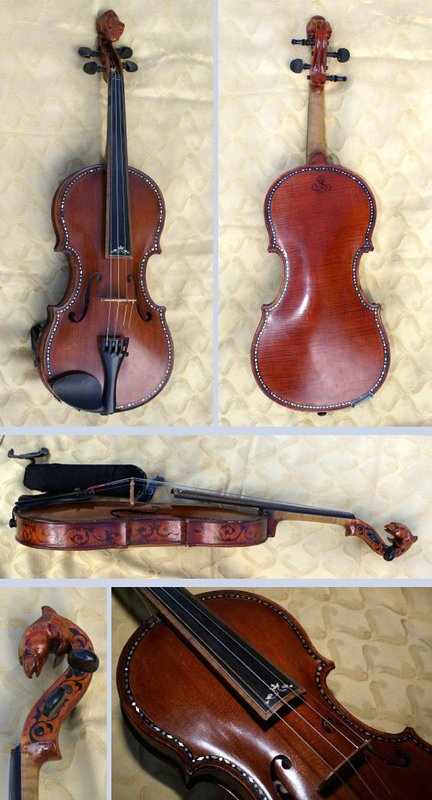 Violin number 7. Own design manufactured 1990. 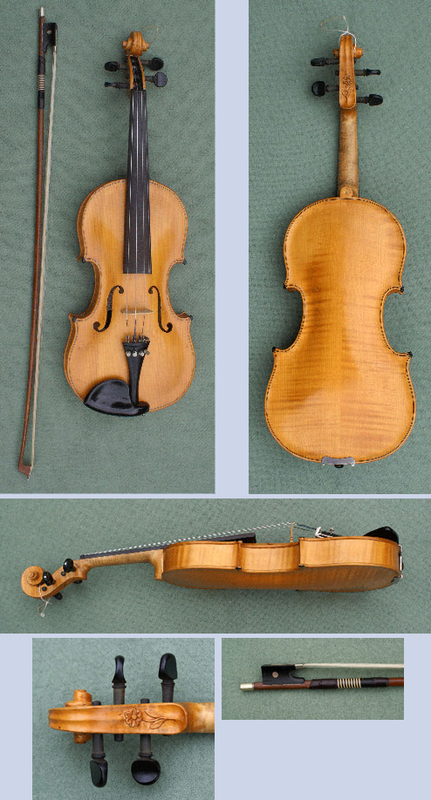 Violin number 8. Manufactured in 1990. Inspired by an original model by Niccolò Amati, Cremona 1656. The original is at the Smithsonian Institute in Washington. Violin number 10. Own design, manufactured 1992 from maple and spruce, with inlay of pear wood. Inlay of 400 pieces of nacre around the rim and ivory on the fingerboard. Both have ebony details and the one to the right has an ivory bridge. Inspired by Dimanche Drouyn, Paris, late 16th century, German 17th-century models and originals at Victoria and Albert Museum, London. Dressed in bone (ivory and know bone) and ebony. Leather clad case. 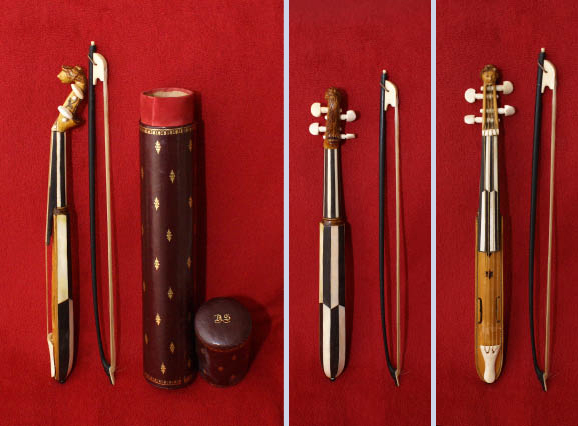 A pochette is a small string instrument that is only 21-30 centimetres long. The name comes from the French la pochette which means small bag. 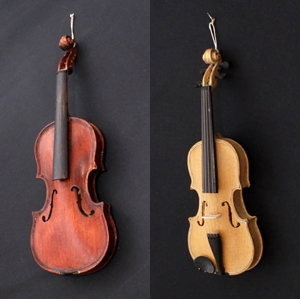 In English kit violin or pochette fiddle, in german tanzmeistergeige and in Italian violino piccolo. Bandurria is a Spanish string instrument, Spanish mandolin. This one is a Canarian bandurria, manufactured 1994.